A special train would take city people to five jyotirlingas in three states. 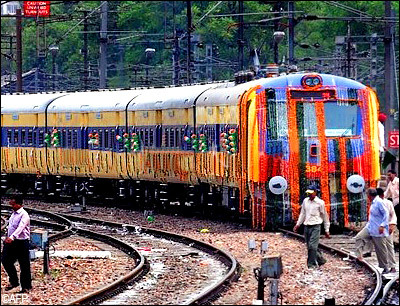 Indian Railways Catering and Tourism Corporation (IRCTC) will run a special train to pilgrimage for the citizens of Jaipur. This pilgrimage train would visit to five jyotirlingas in three states of the country. The tour package will provide breakfast, lunch, dinner and lodging during journey. A total of Rs 5,500 per person would be charged for the tour. It includes whole facilities during the journey. Happy New Year and Spring Navratra Sthapana! Rejoice…everyone. A whole New Year is coming replete with bliss, cheers, enjoyment and happiness. Bringing new opportunities, new dreams, new aspirations and fun filled days galore. At different regions of India, New Year is celebrated at different dates but most often it occurs at the onset of spring. The New Year day is regarded as auspicious to start any new venture. It is also a great moment to witness the colorful traditions and customs of the various Hindu sects ofIndia and marks the first day of Navratri Sthapana. 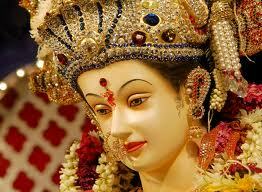 Navratri is a festival of Hindus celebrated with devotion, love and fervor all overIndia. During these days and nights prayers are offered to Mother Goddess. For the devout these days are the sacrosanct for it is during these days when Goddess Durga takes a stock of her devotees and grants all blessings, removes ills and evils and ensures un-problematic life for her devotees. To celebrate a good harvest and to propitiate the nine planets, women also plant nine different kinds of food grain seeds in small containers during these nine days and then offer the young saplings to the goddess. Second Navratras are celebrated during the first nine days of the bright two-week period of Shukla Paksha of the lunar month of Chaitra, corresponding to mid-March to mid-April. The timing of these Navratras relate to the autumnal and vernal equinox that is also the time when seasons change and we harvest crops which adds to the glory of these revelry. Rajasthan celebrates this festival with a lot of fanfare. Most of the people in this state clad themselves in new clothes. During the nine days, they worship the different forms of Goddess Durga and visit different famous pilgrimages, that turn out to be a festive destination. These Spring Navratras are celebrated for both material and spiritual welfare. One cannot achieve anything without the Divine Mother’s blessings. So, sing her praise and repeat Her Mantra and Name. Meditate on Her form. Pray and obtain Her eternal Grace and blessings. May the Divine Mother bless you with all divine wealth !